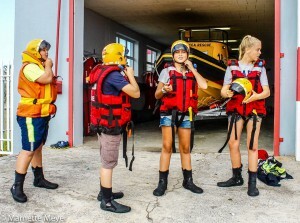 Junior can still join the NSRI Junior Academy! 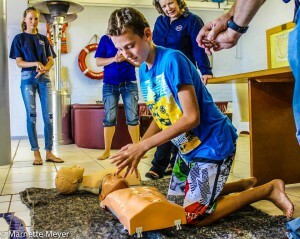 The academy was launched on Monday March 28 at the NSRI Station 18 in Melkbosstrand. Attendees aged 12-16 were treated to a talk on what life on the high seas means for the 841 volunteers that make up South Africa’s NSRI. Youngsters will be spared the dangers. The training will consist of learning skills like CPR, knotting ropes, going camping, washing the NSRI’s boats and becoming familiar with the routine at the station. There’s fun, too, but an adventurous sea-going gene is probably called for. By joining the NSRI youngsters will be able to qualify as fully-fledged NSRI members within a shorter than usual period. For more information contact the NSRI on +27 21 550 4610 or visit www.searescue.org.za.